Under Construction. 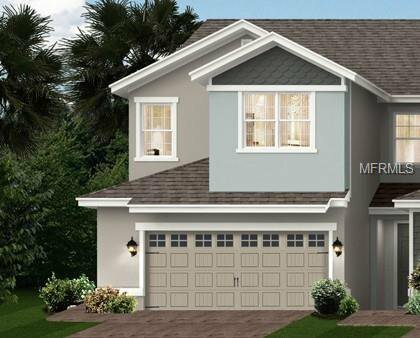 Come see Ambergate, Park Square Homes new townhome community in Apopka. Close to 436 and 441 with easy access to 414 and 429 and Interstate 4. The community features impressive standard features like granite counter tops, 42" cabinets with crown molding and stainless steel stove, microwave and dishwasher in the kitchen. The Master suite features a tray ceiling in the master bedroom and ceramic tile lines the master shower. 17" Ceramic tile in all wet areas, blinds on the windows, and ceiling fan pre-wires and cable outlets in all bedrooms, gathering rooms and lofts(per plan) are just some of the features you will find. Multiple levels on the front of the homes and paver driveways and sidewalks give a level of distinction to the homes. The end unit Reagan floor plan features an open concept Kitchen/Dining area and Gathering Room. A breakfast bar provides additional seating. Side windows provide extra light in the Dining Room, Gathering Room and Loft. The Master Suite features a large walk-in closet and a dual sink vanity in the master bath. The Dining Room features a sliding glass door onto the rear paver patio with privacy panel. The staircase lands at the Loft area that can be used as another gathering area. The space under the stairs provides a large area for storage. Listing courtesy of PARK SQUARE REALTY. Selling Office: HOMEVEST REALTY.